Here is a log of my day in all of it's pain and glory. It's not necessarily typical in its length or futility. Then again, there are worse days. 8:30AM - Start Amazon EMR cluster in preparation for product beta test beginning next week. Eat breakfast while system is bootstrapping. 9 AM - Email. Reading JIRA cards. Reading Spark documentation. 10AM - Remember 10:30 AM meeting. Context switch. 10:20AM - Meeting canceled. Context switch. Start looking at running a Spark cluster on EC2. 10:30AM - Previously started cluster is operational now. Transfer files and begin the booting process. Process takes approximately 1.5 hrs to finish. After that the system should be monitor-only. 10:35 AM - Try various spark cluster configurations that don't work. AWS spot pricing is the worst. 11AM - Think, "if I was a real data scientist I'd probably be reading a paper right now." Don't read paper. @benhamner @kaggle building a model and then putting it into production only to see it negatively influence hundreds of customers is worse. 12:15 PM - Go eat lunch. Sit on porch. Talk with my children and wife. 1:05 PM - return. Try a different Spark cluster configuration. Monitor system progresss on ML system started earlier. 1:10 PM - Think, "I need to appear smart". Read description of Medcouple algorithm. 1:20 PM - Spark cluster running. Try logging in. Try running local IPython notebook to connect. Cluster connection error. Apparently a known issue with PySpark and using a standalone cluster. Try to fix. More configuration errors. Can't load data from S3. 2:40 PM - Still flailing. 2:50 PM - Hate spark. Hate life. Start EMR cluster. 3:10 PM - 2nd cluster still not started. 3:25 PM - Bid price too low. Try different zone. 3:40 PM - No capacity. Try different machine. 4:00 PM - Answer data question on Slack. 4:10 PM - So. Much. "Provisioning". 4:14 PM - Write data queries hoping cluster will provision. 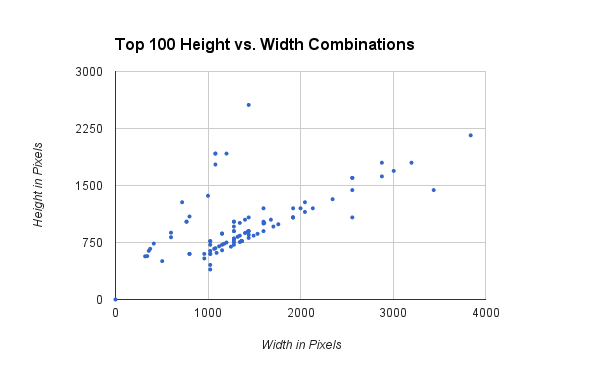 Make some educated guesses as to which fields in the data will be useful. 4:40 PM - Still no cluster. Try one last configuration on EMR and hope it works. 4:50 PM - Switch to different task. Fix bug in bash script doing process auditing. 4:56 PM - NOW my cluster starts! Context switch again. 5:00 PM - Log into cluster. Start Hive query to batch 3 days of browser signature data. 5:01 PM - While MR is loading data onto the cluster, switch to previous data. Load into a Google Docs spreadsheet for visual poking. 5:02 PM - Query finished! Tables empty. Debugging ... oh, external table location was wrong. Fix that. Restart query. 5:09 PM - Google model drift in random forest, because, why not. Hole in the literature. Make mental note. 5:10 PM - Back to Python for parsing data. 5:40 PM - Hive query finishes. 5:50 PM - Fight with Hive syntax for extracting tuples from JSON strings. 6:00 PM - Deal with a resume that was emailed to me. Add to hiring pipeline. 6:05 PM - Finish query. Pull into Google docs for plotting. Conclusion - It seems we have some anomalous behavior with screen resolutions on our network. 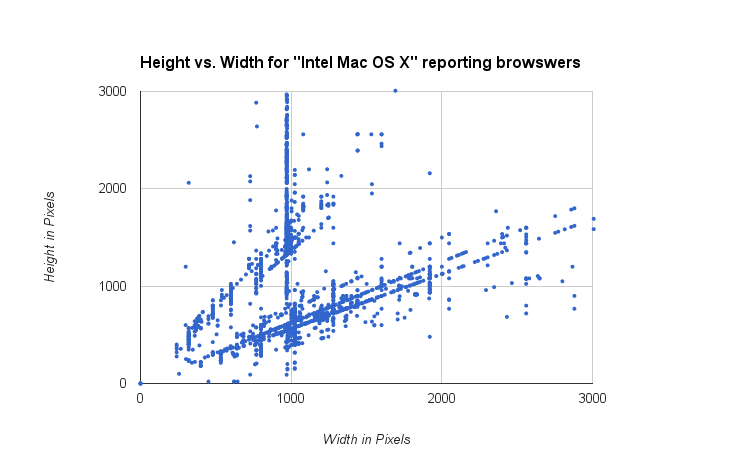 The first chart is the top 100 screen resolutions of OS X devices. The bottom chart is all the OS X screen resolutions in 3 days of data. Look fishy. The folks with non-standard Apple-device screen resolutions are likely candidates for investigation of fraud. I've had one of those days a thousand times over. Hey, you could be using Hadoop. The fun never ends, no? What's funny is that everyone thinks they're alone in having days that seem futile. But, apparently it's universal. I think more people should do posts like this!